A couple of units come with C slots which only they can use. In these cases, there is very little reason to switch out their personal C slot skill for another one. These skills provide unique benefits, unlike other C slot skills. Ostia’s Pulse is the personal C slot skill of Legendary Hector. This skill provides a free point of Special charge to anyone on Legendary Hector’s team who has two or less of their movement type on the team. In other words, this skill provides a Quickened Pulse effect through the requirement of Tactic skills. This skill is powerful and there is little reason to replace it on Legendary Hector unless he is being used alongside a full team of armored units. Many units will appreciate the ability to activate their Special faster. Ostia’s Pulse can be stacked with Quickened Pulse and Infantry Pulse too, so it is possible to have a unit with a fully charged Special immediately. With Everyone! is the personal C slot skill of Legendary Tiki. 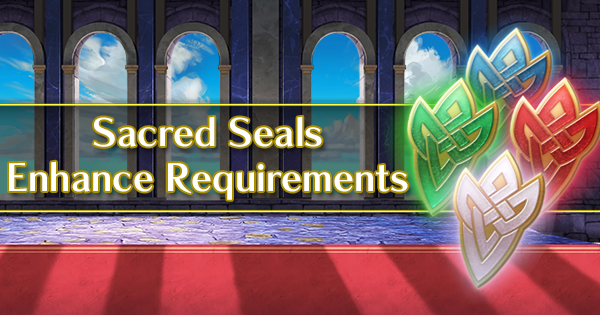 This skill grants Legendary Tiki and any adjacent units with five points of Defense and Resistance at the start of the turn. This effect is basically equivalent to having Joint Fortify Def/Res. This skill is fantastic. There is almost no reason at all to replace it on Legendary Tiki. With an easy to fulfill requirement and powerful effect, With Everyone! has everything one would want for a C slot that’s used on a defensive unit. Surtr’s Menace, as the name implies, is the personal C slot skill of Surtr. When he starts his turn within two spaces of a foe, this skill grants Surtr with a four point boost to all stats and debuffs any foes within two spaces by four points. This skill is extremely strong and is part of the reason Surtr is such a notable threat. It synergises perfectly with Sinmara to grant -20 HP and -4 to all other stats to all enemies within two spaces of Surtr, as well as granting himself +4 to all stats bar HP. Unless Surtr has boosted movement or is refreshed, chances are anyone he fights will be affected by Sinmara and Surtr’s Menace. All in all, a very fitting and fantastic C slot and Surtr should not be seen without it. Sparkling Boost is the personal C slot skill of Eir. This skill heals the ally who has taken the most damage (not including Eir herself) by 10 HP at the start of each turn. Note that where it says “taken the most damage”, it means whoevers current HP is the most below their max HP, which might not necessarily be the unit with the overall lowest current HP (Say a unit with max 30 HP has 20 HP and a unit with max 50 HP has 30 HP. Sparkling Boost will heal the unit with 30 HP since they’ve taken 20 damage as opposed to the other unit who’s only taken 10 damage). This skill is quite unlike any other C slot. With it, Eir can function pretty well as a support unit without any extra effort on her part. On the flipside, this can hinder some team compositions that are reliant on units being at low HP, such as teams with users of Brazen skills or Desperation. One should make their own judgment as to whether or not Eir’s team will benefit from her having Sparkling Boost and choose her C slot accordingly. Glare is the personal C slot skill of Naliah. This skill will apply a Gravity effect to Nailah’s target and any foe adjacent to the target for their next action. Nailah does not have to be the one to initiate combat for this skill to take effect but she does need to perform an attack upon her opponent which is not a significant drawback considering Nailah comes with Distant Counter and Null C-Disrupt. Glare is a strong C slot which has both great offensive and defensive utility. Glare makes it easier for her team to safely pull her back after an attack for example. It can also make Nailah a tricky unit to attack because if whoever attacks her doesn’t defeat her, it becomes a lot harder for them to safely retreat. It can even act as a defensive measure to remove her allies from enemy ranges thanks to the reduction in movement. The versatility that Glare brings to many situations makes it a clear choice for use on Nailah. Upheaval is the personal C slot skill of Duma. This skill will, on the first turn, damage all enemies for 7 HP and if Duma is used during Anima season on a Aether Raids defense team, he will destroy any offensive destroyable structure in the same column as him as well. This skill will stack with itself, so having two Duma on the team will deal 14 HP damage to all enemies instead. Since Duma’s weapon, Fell Breath, requires the opponent to not have full HP, Upheaval makes it a lot easier to utilize. 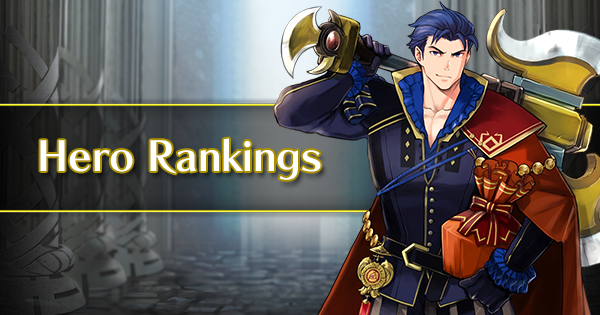 On top of this, Upheaval will interfere with opponents that rely on HP thresholds such as Alm, Brave Celica, and Ephraim. Also, it’ll likely never cause the opponent to activate skills like Wrath as actually reaching the 75% threshold from Upheaval would require the enemy to have base 28 HP or less. The ability to function like a catapult on AR defense is a nice bonus for anyone who plans to use Duma on their defense team. With enough Duma on the team, a defender could effectively wipe all of the attacker’s structures. If you don’t plan to use Duma on your AR defense team, you can safely disregard this part of the skill. All in all, Upheaval is a very fitting C slot skill that synergises so well with Duma that there’s little reason to not use it. If the enemy team doesn’t have any form of healing, it’s basically guaranteeing the activation of Fell Breath. While this skills power does diminish if the enemies have healing, it’s not enough to not recommend using Upheaval. Human Virtue is the personal C slot skill of Legendary Roy. This skill buffs Roy and any adjacent allies that are not beasts or dragons for six points of Attack and Speed at the start of each turn. 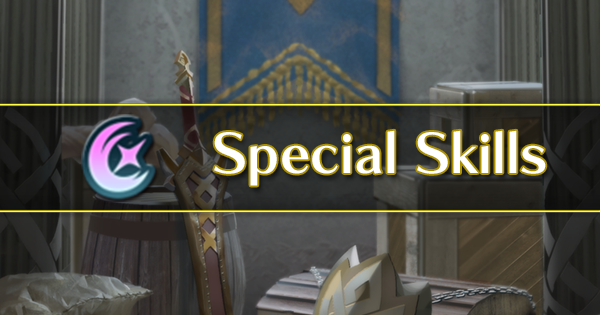 Something to note is that beasts and dragons will not stop the skill from activating; If Legendary Roy has both an adjacent dragon and an adjacent lance unit for example, Roy and the lance unit will receive the buff while the dragon will not. This skill has been colloquially referred to as ‘Hone Humans’ in the community and it’s easy to see why, except unlike skills such as Hone Cavalry, Human Virtue buffs the user. This skill is simply fantastic and there is practically no reason to use any other C slot skill on Legendary Roy. It has incredible natural synergy with him since he comes with the Bonus Doubler A slot skill by default, meaning he’ll effectively receive 12 Attack and Speed with this A slot equipped. Besides this, it is simply a very powerful boost and makes Legendary Roy a great sidekick for almost everyone this skill can activate with. Always use this on Legendary Roy and never look back. Chaos Named is the personal C slot skill of Yune. This skill will debuff the highest stat of opponents within three columns of Yune that have at least three less Resistance than her by five points. In short, Chaos Named is a enhanced adaptive Ploy with greater range but a harsher requirement. Note that if there is a tie in an affected unit's highest stat, all of the highest stats will be debuffed. For the purposes of calculating the highest stat, the game subtracts 15 Attack from the opponent. This is the game’s rather crude way of trying to not take a user’s weapon into account for deciding the highest stat. As a standalone skill, Chaos Named is really good. The larger area of effect helps to alleviate one of Ploy skills normal weaknesses while it also synergises with Yune's personal weapon Chaos Manifest. Yune also has extremely high Resistance, helping her to activate it with greater consistency even with the harsher requirement. However, when deciding whether or not to use Chaos Named, one should consider the others on her team. If she has someone like Aversaas a teammate who can mass debuff or allies with Chill skills, Chaos Named can lose its appeal. For pure support purposes, there's also no guarantee that the debuffed stat will be entirely beneficial for Yune's allies. It'll be up to you to make the judgment on whether or not the team and Yune herself would see more benefit from other C slots. Outside of the general Hone, Fortify, Goad, and Ward skills that all the non-infantry movement types have, there are a handful of other skills with benefit only a specific movement type, though not through stat bonuses. As the name implies, Armor March is a skill for armored units to help solve their low movement issue. This skill grants the user and adjacent allies with an extra point of movement at the start of the turn. 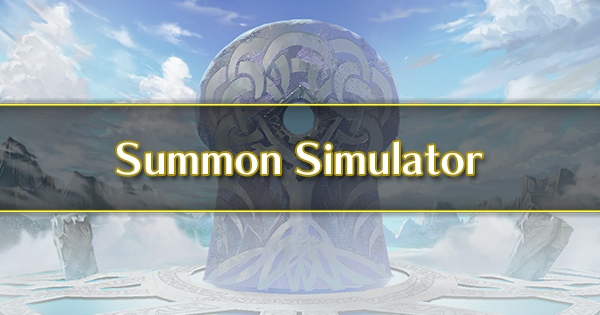 This effect is only applied to the user if they start their turn adjacent to another ally, so it cannot be just given to an armored unit for consistent extra mobility. This skill makes using armored units a lot less painful than it can be. While armored units are undeniably powerful in combat, their low movement can make them frustrating to utilize properly. This is what Armor March aims to fix. As an added benefit, armored units are not affected by forests at all, making any armored unit with a boost from Armor March technically more mobile than any infantry unit. 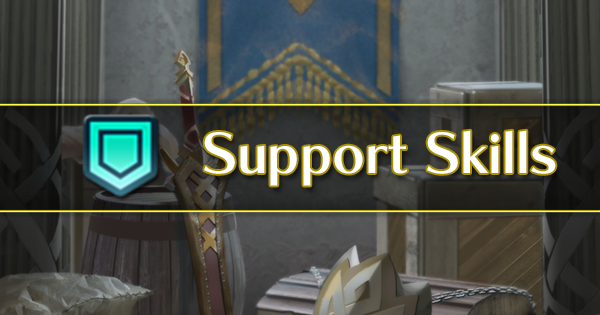 On a full armor team, Armor March is a must, but not everyone needs it. Typically, having two units with Armor March is advised. The other armored units can then use other C slot skills such as Panic Ploy or Ward Armor. Guidance is a unique series of C slots available to fliers. There are two types of Guidance skills available: Guidance and Flier Guidance. Both are the same in effect, but provide their benefits to different movement types. 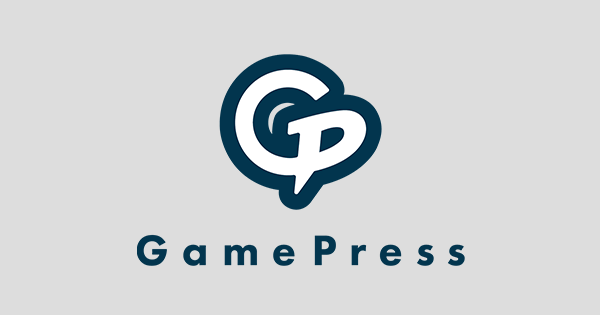 Guidance allows infantry and armored allies within two spaces of the user to move to any free space adjacent to the user. Meanwhile, Flier Guidance allows flying allies within two spaces of the user to move to any free space adjacent to the user. These skills are designed to enhance the overall mobility of the team by allowing units to reach spaces they otherwise wouldn’t be able to reach. Both of these skills are great on unit defense, where the mobility increase can potentially catch the attackers off guard and net the team a KO which in turn will likely result in a defense win. For offensive use, these skills can still be effective for getting the various members of your team into the right place at the right time. Air Orders is another unique movement-based C slot for flying units, similar to the Guidance skills. This skill grants any flying units starting the turn adjacent to the user with the ability to move to any space adjacent to any ally within two spaces. 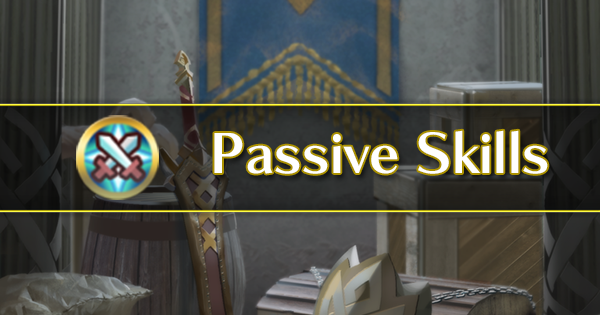 In a sense, this skill is equivalent to giving any affected unit the Flier Formation skill except it doesn’t need to be another flier that the unit moves adjacent to. Much like with Guidance before it, this is another one of those skills that can prove to be very effective on defense. Giving the Air Orders buff to even a single flier can make it all the more challenging for an attacker to safely make their approach or can flat-out catch them off guard and punish them with a surprise attack. That’s not to say Air Orders is not useful offensively either. With smart positioning, a flier team could potentially make very powerful use of this skill. Air Orders in itself doesn’t make your units more effective at defeating opponents, only more mobile. Because of this, you need to question whether or not a flier team would want this skill over a simple buff like Hone Fliers. Given that Air Orders can be situational and therefore inconsistent, using it over Hone Fliers or similar skills which have obvious benefits can be tricky to justify. Still, it’s not bad by any means and has the potential for some scary strategies. While infantry units have no stat boosting C slots exclusive to their movement type, they still have their own special C slots. There are three in total: Infantry Pulse, Infantry Rush, and Infantry Flash. Infantry Pulse is the most accessible of the three, and debatably the best of the three too. This skill provides a free point of Special charge to any infantry unit with 3 less HP than the user. As such, this skill ideally wants to be placed on high HP infantry units who can activate this consistently. 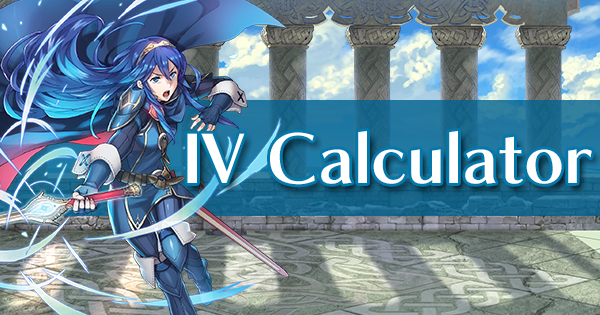 The free point of Special charge is almost always beneficial, particularly for mages such as Celica who have powerful sets that revolve around constant activation of their Special. On top of all of this, Infantry Pulse can stack, so one could make use of multiple users to instantly charge an offensive character’s Special, such as the aforementioned Celica. Infantry Rush and Infantry Flash are interesting skills. Like the Guard C slot skills, these skills effectively provide anyone within range of the user with other skills. 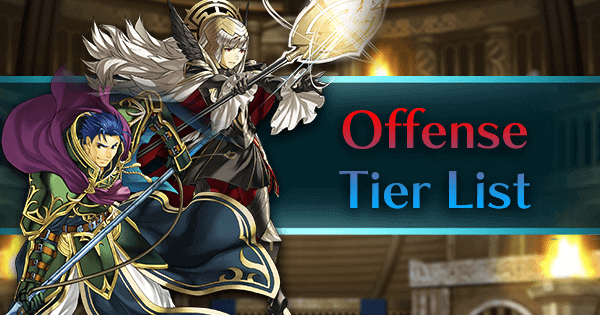 Infantry Rush provides any infantry unit within two spaces of the user with the Heavy Blade skill, while Infantry Flash provides any infantry unit within two spaces of the user with the Flashing Blade skill. This is an interesting effect, to say the least, which unfortunately suffers from the best users struggling to make use of it. Heavy Blade and Flashing Blade are best used on offensive attackers, but if such a unit is going on the attack, they may not be in range to benefit from Infantry Rush or Infantry Flash. This skill works better to support offensive mages such as Ishtar who will have an easier time benefitting from it. Defensive fighters are also more than able to take advantage of these skills too, Infantry Rush in particular in the case of defensive units. However, these sort of units would likely prefer to utilize a skill such as Steady Breath to boost their Special charging capabilities. All in all, the infantry C slot skills are pretty good but pretty specialized. Infantry Pulse can prove to be potentially devastating when stacked, but both Infantry Rush and Infantry Flash are too inconsistent with their effectiveness. Panic Ploy is a unique oddity within the Ploy skills. Not only does it not activate based off of a Resistance check, it technically doesn’t even debuff the opponents, hence why it wasn’t talked about alongside the other Ploys. Panic Ploy will place the Panic status effect on any enemy within cardinals directions of the user as long as the user has 1 more HP than the enemy. What the Panic status effect actually does is it reverses any buffs the affected user has into debuffs, so if they had previously received +4 Attack from Hone Atk, they’ll now suffer -4 Attack. Furthermore, the buffs that get affected by Panic Ploy also don’t count as regular debuffs. They could be referred to as anti-buffs instead. Anti-buffs are separate from regular debuffs and can even be stacked with one another for a potentially huge stat decrease. 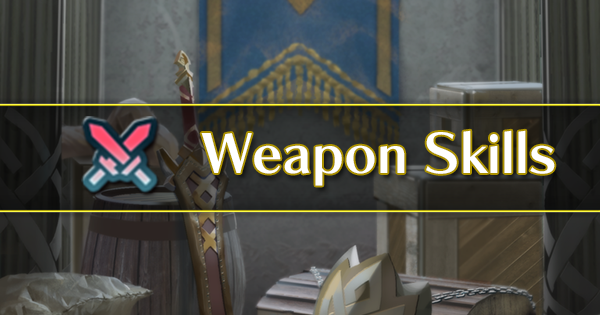 This can be seen with Aversa’s Night, the personal weapon of Aversa, that provides both a -3 universal stat debuff and a Panic status effect to anyone affected. The effects of Panic also cannot be reversed by Harsh Command. This skill is a popular choice among armored units and dragons who all have high HP and make very good use of this skill. Placing Panic on the right unit has the potential to completely neuter their effectiveness. Panic Ploy itself though suffers from the same drawback as all the other Ploys though, in that aiming it right can be tricky. The two last C slot skills to be talked about are Breath of Life and Savage Blow. 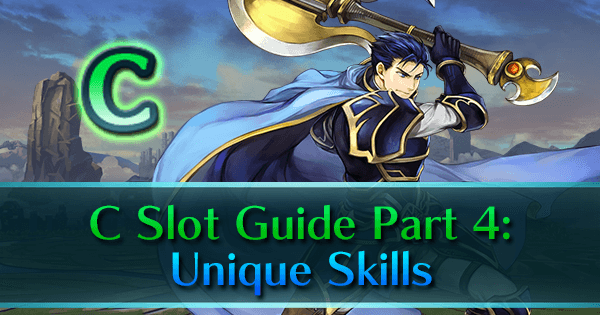 These two skills are unique as they are the only inheritable C slots to have a direct impact on the total HP of either your units or the opposing units. Breath of Life provides 7 HP to any allies adjacent to the user after they initiate combat. This allows an offensive unit to be used to heal allies without sacrificing overall offensive capabilities. This skill is a popular choice for pseudo-healers for use in game modes where sustainability is important, such as Tempest Trials and Chain Challenges. However, this skill sees very little use in Arena where the minute amount of healing will offer little benefit. Savage Blow allows the user to hit any opponent within 2 spaces of the target for 7 HP of non-lethal damage if they initiate combat. In a way, Savage Blow is effectively HP Smoke, though with the added requirement of having to initiate combat which the regular Smoke skills do not have. 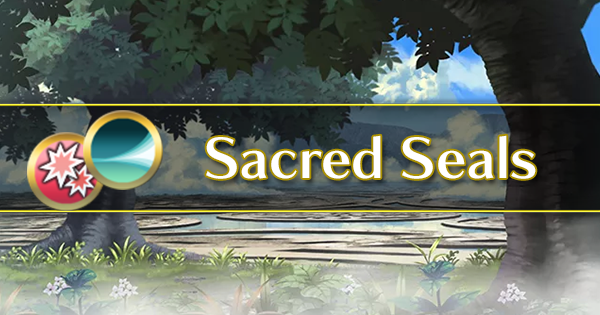 This skill is a very popular choice for offensive healers which can make use of the Pain+ staff and the Savage Blow Sacred Seal to deal a massive amount of damage to the opposing force, which is a crippling blow for many team compositions. However, the inability to KO with it still has its risks, namely that anyone affected could potentially just run up and KO the user on their own turn if not dealt with.